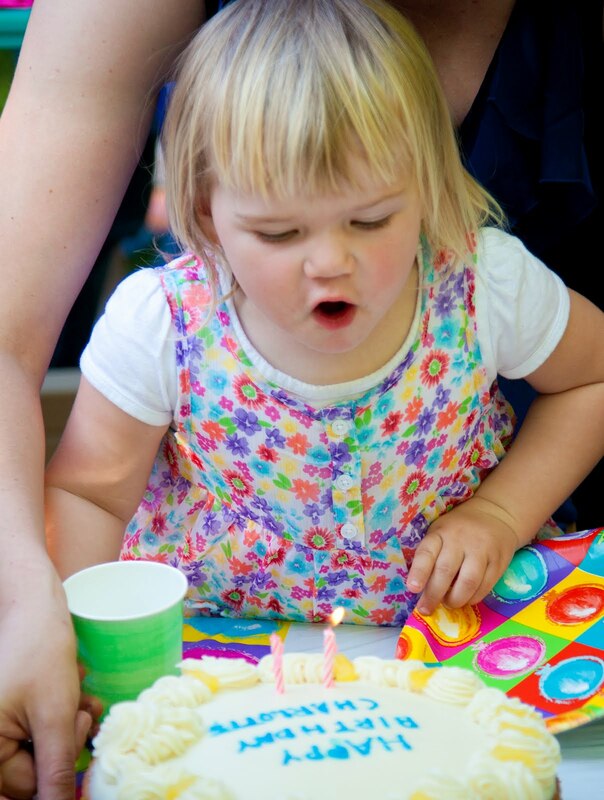 Welcome to Isabelle's Blog: Happy 2nd Birthday, Charlotte! It happened again. Another year passed and our little Charlotte turned 2! Not so little any more. In the last few weeks, she has really turned into a little girl. Even a few weeks ago, I felt that her development trajectory was not clear. But wow, she has made so much progress in the last few weeks. Speech-wise, she can make herself understood in most situations. She is starting to say 3-word sentences (Daniel owie arm) and using pronouns (help me). She regularly says "where are you?" in a very funny tone. She definitely doesn't understand the meaning of the individual words, but she gets the usage of the phonetics, so she repeats it as she sees fit. While she speaks mostly in English, she has a few German and French words, but she understands all 3 languages. And with understanding, I really mean she understands everything. We can't mention anything without her jumping in the middle of the discussion and bringing her side of the story. No more secrets in front of Charlotte. Charlotte is a great singer. She knows the melody of 5-6 songs very well and while it's still hard to isolate the words (I don't think she knows them either), it's easy to recognize what she is singing. Charlotte started attending a new school a few weeks ago (a welcome change for us parents at least). She actually did very well with getting used to it after just a few days. She started getting regular music and sports classes through her school, similar to Daniel who has been attending them since January. At the first music lesson, the teacher observed Charlotte and noticed how great she did with singing and rhythm. She automatically asked if Charlotte was Daniel's little sister because they both had a great musical talent. This made my day! We celebrated Charlotte's birthday in our backyard and it was a lot of fun. Since she had just transitioned to a new school, she didn't have a lot of friends to invite. But a lot of Daniel's friends have little sisters, and we invited them. So it was a great group, with a balance of older boys and little girls. We had a bouncy house which was a hit (from 630jump, which was great). Charlotte started jumping before the guests started until after they left, not being bothered by the big boys who were taking over the house from time to time. She had a blast. 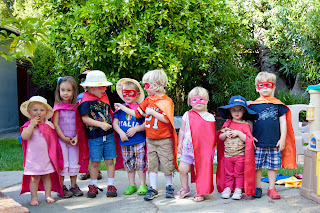 We also had an activity for the kids to do - and for them to keep a keepsake as a favor: cape decorating. This was a hit too! Everyone got to become the superhero of their dreams! I had found these cape decorating kits at sewplainjane.com, and they turned out great. Everyone had a blast! Even the adults got the chance to enjoy the nice weather and the food. Definitely a tradition we hope to continue. Bạn đang tìm mua dien may cu tphcm. Nếu vậy hãy ghé qua shop thằng ghờm. Đến với shop chúng tôi bạn sẽ tìm mua được máy lạnh tiết kiệm điện giá rẻ, mua được cho mình những máy giặt cũ giá rẻ, ngoài ra đây cũng là nơi bạn có thể tìm mua tủ lạnh cũ với giá tốt nhất. Hãy đến với ngôi nhà kiến thức để cập nhật những kiến thức mới lạ như nghĩa của từ atsm là gì... Cùng nhiều kiến thức mới lạ khác.